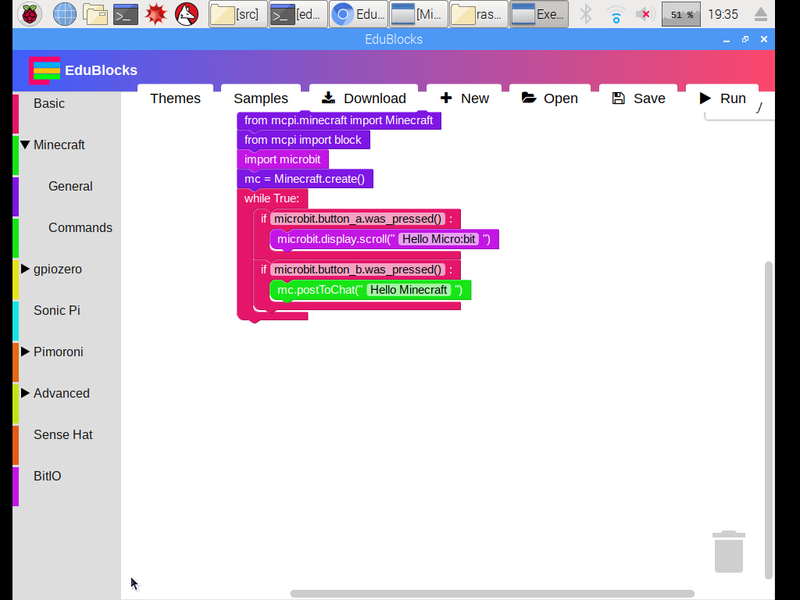 Jammy blog: EduBlocks: BitIO blog 1 "Hello Micro:bit, Hello Minecraft"
EduBlocks: BitIO blog 1 "Hello Micro:bit, Hello Minecraft"
1. Open Minecraft and create a new world, then minimise this for later. Tip, use the tab key to allow your mouse to minimise the Minecraft window. 2. 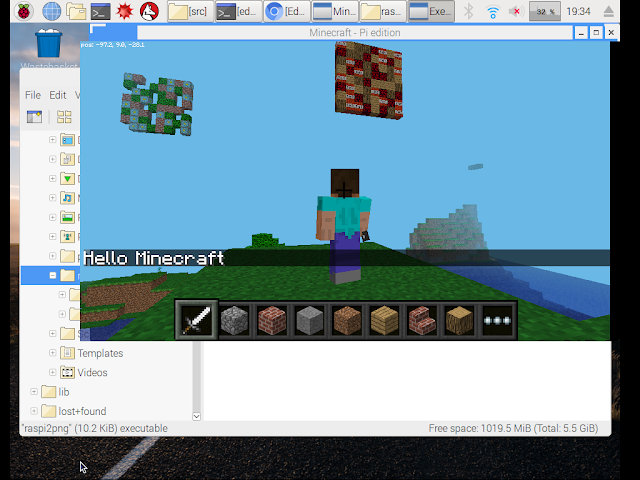 Open Edublocks from the programming menu, this should open in the chromium browser. 3. Plug in your Micro:bit to one of the available USB ports. 5. Now snap into place the code that you see below. It will trigger a message on the Micro:bit when the 'a' button is pressed and a message in Minecraft when the 'b' is pressed. 7. So unplug the Micro:bit and press enter. Your micro:bit has been detected. Lego + Micro:bit + edublocks 1: ''Lights on"